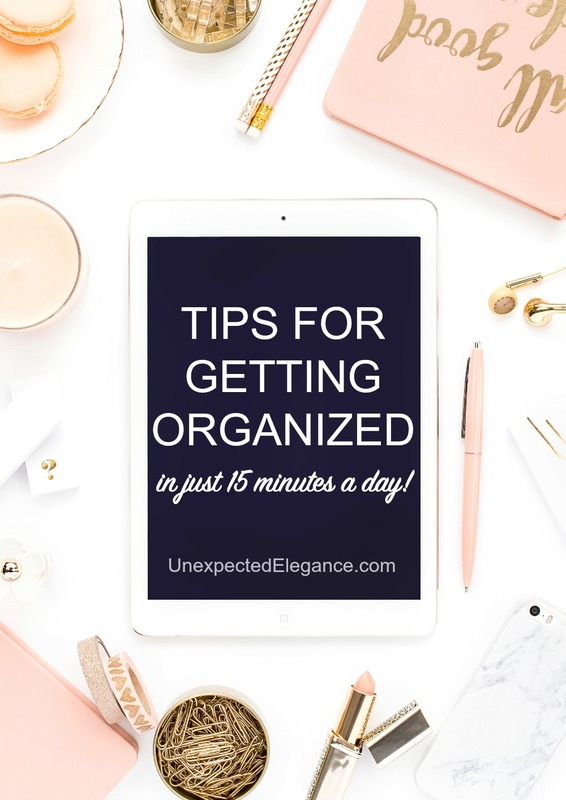 Get tips for getting organized and also get a FREE ebook for doing it in just 15 minutes a day!! Take back your life this year. Christmas is over and the new year is right around the corner! Do you make resolutions? It seems like every year organization makes my list of yearly to-do’s. Is one of yours to get organized? Are you always late because you can’t find your keys? 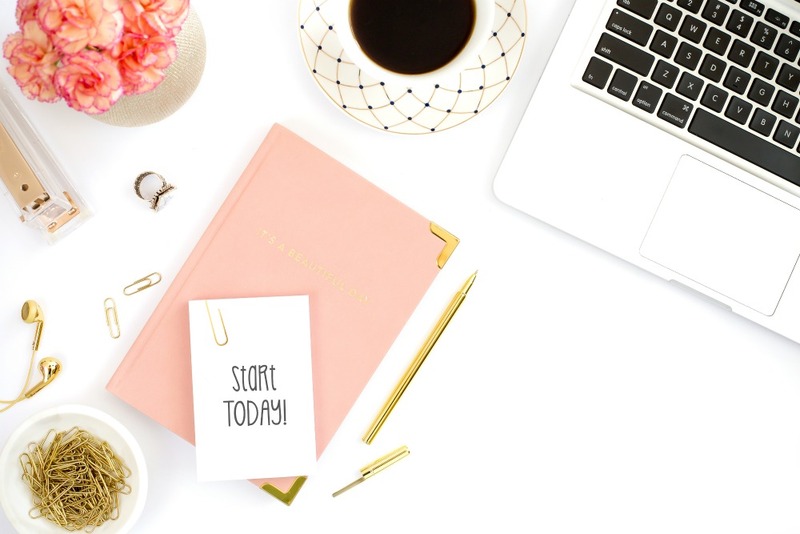 There are things you can do to start getting organized in the new year. Whether you start small or keep the most used items easily accessible, it’s possible! First things first. The reason many people get overwhelmed is they think about organizing their entire home all at once. This can be scary. Instead, why not focus on organizing one area? It might be your junk drawer or even your medicine cabinet. When you start small, it motivates you to keep going. You can find a post about how I got started HERE. The next best tip is to stick to one area at a time. When you jump all over the place, nothing gets finished. This can be discouraging and can cause you to give up. However, when you focus on finishing one small area at a time, you’ll quickly find your groove and soon have your entire home organized. You want to declutter as you go. Try the 3 box method. One box/bin should be for items you want to keep, another should be for items to toss, and the last for donations. Only touch items once before deciding which box it goes in. When you get finished, go back through your keep box and try to weed out another 25% of the items. You also want to make sure to take your items to be donated immediately so you don’t have time to change your mind. Another great organization tip is to make a place for everything. Once everything has a place, it’s easier to put it away. There’s no more wondering what to do with something. If you have items that you don’t know what to do with, you need to ask yourself if these are items you really need. Last, but not least, you want your most used items to be easily accessible. For example, the plates, cups, and bowls your family use most often should be in the cabinet closest to the dishwasher so that unloading and putting the dishes away is easier. It’s not hard to get organized. You just need to give yourself time and remember to start small so that you don’t get overwhelmed. If you’d like some more tips, be sure to get my short ebook: Simplify your Life in Just 15 Minutes a Day!